What will your world be like in 2040? Here at Changeworx we spend our time thinking about the future. What will our world be like a generation from now around 2040? All our films follow change over time as it unfolds on-screen in participants’ lives. If we see the present in a new way, we better understand the past & can better glimpse the future. For us, that’s the essence of documentary media-making. Welcome to Changeworx E-News for Spring 2013.
Who will become America’s next President…in 2040? 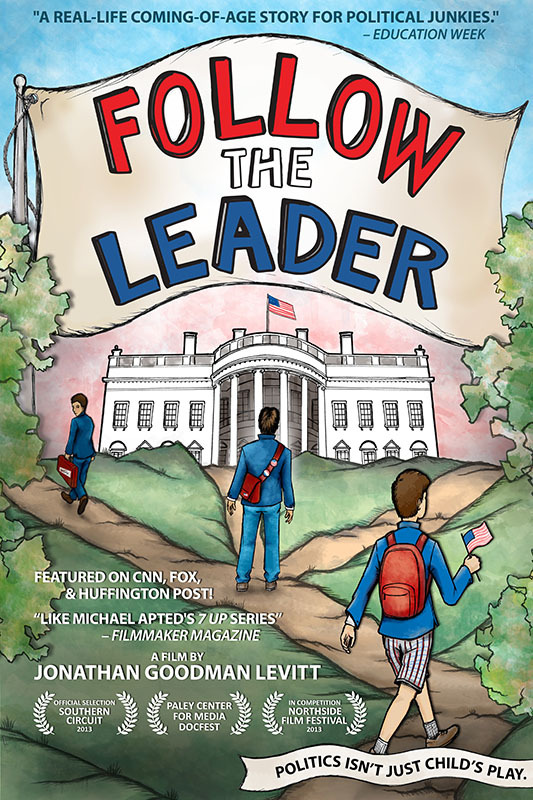 This questions lingers in the background of FOLLOW THE LEADER, a “real-life coming-of-age story for political junkies” (Education Week). The film follows three teenage boys who at sixteen-years-old want to be President, as they go down three different paths toward maturity. Seen already on television across Europe and in Japan thanks to our many foreign broadcast partners, the film will be released more widely in the U.S. this summer. Thanks to the Southern Circuit, we’ve just finished a 10-city tour of theatrical dates throughout the American South at colleges, theaters and government buildings filled with thoughtful audiences & provocative Q&A sessions. Next week, we return to New York for a special homecoming screening at New York’s IFC Center as part of the Stranger than Fiction series, hosted by Thom Powers & Raphaela Neihausen. Follow the Leader screens on Tuesday, May 14th at 8pm. After the film, we’ll be going for drinks around the corner. And most of our NYC-based team including Co-Editor Carla Ruff, Graphics Producer Emily Branham, Composer Zack Martin (TBC), Re-recording Mixer Rob Daly, and Colorist Pedro Padilla will be there – please help us make it a memorable event by joining us to celebrate their amazing work, a full seven (yes, 7!) years from the film’s first shoot! We’re also honored to announce that Follow the Leaderhas been selected as one of only four features to compete in the Northside Film Festival’s Competition. Our Brooklyn Premiere will be on June 20th (time TBA) at Videology in Williamsburg. We’re excited to be part of such an innovative Festival and such a varied & provocative line-up. (For those outside of NYC, more national news in the final section). This Saturday, Pakistanis go to the polls for a general election for the first time in five years. The impact of what they decide affects the entire world in ways that most of us in the West barely understand. Changeworx’s top priority among our films currently in production is our work with Manjusha Films that seeks to inform us about how the difficult choices many ordinary Pakistanis must make today are driven by economic, religious and political forces outside their control. Our first collaboration, for Al Jazeera, follows remarkable school principal Shabeena as she fights to bring education to the children – particularly the girls – in one rural Pakistani village. SHABEENA’S QUESTpremiered recently and is now available worldwide for free streaming, accompanied by statements from Directors Hemal Trivedi & Mohammed Ali Naqvi. Working with a largely local crew, Hemal, Mo, Co-Producer & journalist Naziha Syed Ali, Executive Producer Whitney Dow and I have also been in Production since 2009 on Hemal’s ambitious & important TWO CHILDREN OF THE RED MOSQUE. The film charts the stories of two rural Pakistani teenagers who’ve attended one of Pakistan’s most notorious Islamic schools, with unique access to important figures in Pakistani life who place their lives in context. Supported by Ford Foundation, TriBeCa Film Institute, Center for Asian American Media, Chicken & Egg Pictures, IFP, & Women Make Movies in the U.S., we are pleased to announce the project’s selection for Sheffield Doc/Fest’s MeetMarket, where we look forward to discussing the film with decision-makers in June. We’re also continuing our live event screening tour of colleges & communities nationwide throughout the fall. Our tour offer is available for download as a pdf from our website (or just hit reply & ask for it! ), and we’ve been continuing to build more vital outreach partnerships that are instrumental in our grassroots release strategy. Just last month, we presented the trailer & discussed the film at awesome conferences run by our partners National Youth Association & Student Voice, which ran an amazing event sponsored by Dell and held at New York’s Microsoft office. 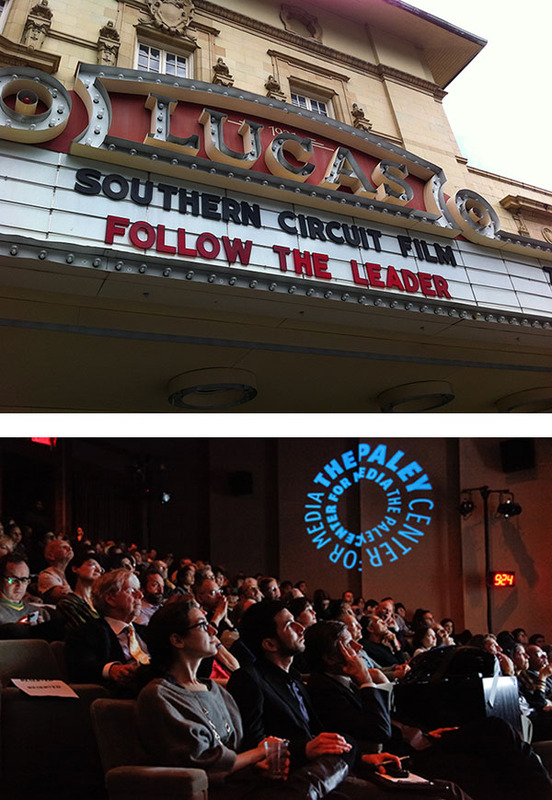 Our cross-platform work on Follow the Leader: REALITY CHECK INTERACTIVE that premiered with an amazing experimental live event at The Paley Center for Media is also gaining speed. We’re working toward translating the live interactive episodic event into an on-demand interactive version of the film – along with an online platform that lets people take a “deep dive” into the surprising realities of what other people really think. We’ll report back with you in Changeworx’s E-News this fall. Thank you again for your support & for reading about our progress at this time of great change for the world & our media industry. Please be in touch directly with any comments or questions, or if you want to be involved in any of our work. Onward to 2040!